Rainbow Six Siege is preparing for the start of Year 4 by giving players a preview of the changes coming to Operators in the Y4S1 patch. The patch will go live on test servers first before going live, so some of the notes below may be updated before final release. More information on the Y4S1 patch will be revealed as we get closer to the Operation Burnt Horizon release date. The first look at changes coming to the Rainbow Six Siege test servers are as follows, courtesy of the official Rainbow Six Siege website. Remember, these changes aren't final. Ash is very popular, and very strong. Within the balancing team, we are challenging whether or not all Attackers have ACOGs by default, and feel as if Ash is a great place to learn what impact the removal of Attacking ACOGs will have. Also, her R4-C is currently picked 99% of the time, and this should help balance her weapon pick rate a bit more. His ability to quietly make a hole in a reinforced wall and quickly swap to a weapon to punish Defenders is difficult to counter, so we will be increasing the amount of time it will take for him to swap from the blowtorch to a weapon. We investigated making the sound louder, but that will require audio work that we cannot complete right now, and is therefore on the backlog of potential future changes. 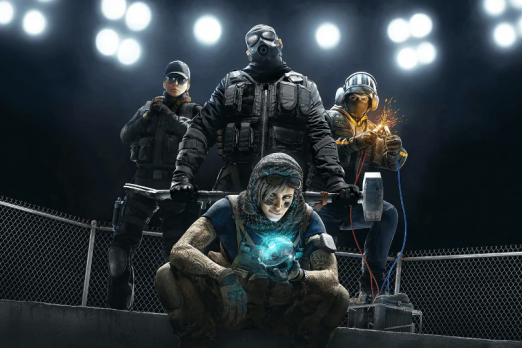 Our goal with these changes is to reduce the Defender’s frustration when playing against Dokkaebi. By introducing additional options for countering her Logic Bomb will offer more choice for Defenders. We are introducing an improved propagation system that will make the area of effect not to go through objects. We have been working in this new version for a long time and, finally, we are able to see it in action with Capitao’s asphyxiating bolts. This new system allows us to improve the area of effect and, consequently, to reduce the damage inflicted by the bolts. With these changes we want to shift Capitao back to his original intention, which is that of an area denial Operator. Currently, his asphyxiating bolts are being used almost like a frag grenade, so the damage reduction and area of effect increase should reduce the viability of these asphyxiating bolts being used as frag grenades. The Muzzle Brake on Clash’s Machine Pistol is the worst choice in all scenarios now that it is fully automatic, so we are removing it. Lesion is currently very strong, and we believe that it has to do with the total amount of damage that Gu Mines can inflict to player combined with preventing sprint and defuser planting actions. In order to minimize that, we are reducing the amount of damage that a single Gu Mine can do each tick. We are reworking the Deployable Shield, which has always been difficult to place properly, and also offered very little insight into whether or not your body was protected. We are reworking how the Deployable Shield functions, and how it is used within the game. We are aware that the current playstyle for ballistic shields heavily favors direct gunfights instead of teamwork and tactical positioning. We are looking to address it by slowing down the speed of aiming down sights while having a shield equipped. As mentioned in the intro, and in the Designer’s Notes from Y3S4.2, the Lion rework is in progress. More details at the Six Invitational! We want to bring Glaz back to the original intention of being able to hold an angle or corridor and lock it down without becoming a very strong entry fragger. We recognize that Blitz is one of the more frustrating Operators to play against. Increasing the amount of time required for him to aim down sights with his pistol is one of the ways we hope to alleviate this. Additionally, we explored increasing the cooldown of his ability and tweaking how we detect flashes, but both of these changes will require extensive audio/code work, and are therefore on the backlog to look into for the future. So what do you think? Are you excited for any of the changes coming to Rainbow Six Siege in the Y4S1 update? What else would you like to see included before the patch is pushed live? Let us know your thoughts in the comments section below.